Both the Varnum House Museum and the Varnum Memorial Armory Museum are available for tours! Each facility offers it’s own unique exhibits on early American life and society. Varnum House docent team ready to give tours of the 1773 mansion owned by General James Mitchell Varnum. It was 1773 when James Mitchell Varnum purchased a large plot of land overlooking Greenwich Bay in East Greenwich, RI, for the sum of $90. As a prominent figure in the Revolutionary War and early-American politics, Varnum attracted a “who’s who” of guests to the mansion built on this land, including George Washington, Marquis de Lafayette, Rochambeau, John Sullivan, Nathanael Greene, and many others. Containing numerous historical artifacts ranging from the late 17th century through the mid 19th century, the Varnum House Museum is open format, meaning that very few exhibits are behind glass or ropes. It is as if you’re touring the house as it appeared in the late 18th century! 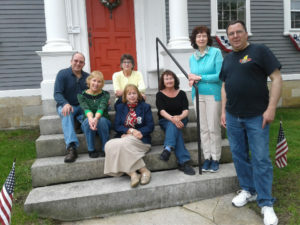 To book a tour of the Varnum House Museum, email house@varnumcontinentals.org or call 401-884-1776. The armory serves as the Varnum Continental’s headquarters and contains an extensive Military & Naval Museum which has been acquired through donation and purchase. There are ample facilities for private and public functions. 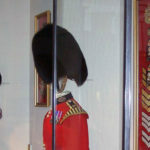 It has a large drill hall (40 x 110) capable of seating several hundred, as well as a dining room, meeting rooms, a balcony display area, and several offices. 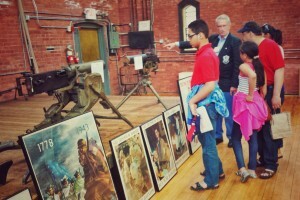 Use this form to book your tour of the Varnum Memorial Armory Museum.